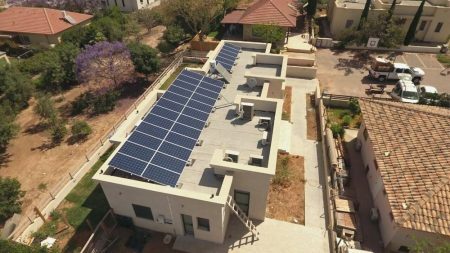 The Kibbutz Yakum solar energy system is in the process of being constructed on top of the kibbutz’s industrial buildings. The facility to be built in the kibbutz will provide an output of 625 kilowatts. The main challenge of the project was as a result of a very complex connection to the national power grid. Several alternatives to the IEC connection were examined, in order to reduce connection costs for the client. The panels to be installed are by ET Solar and inverters by PowerOne.